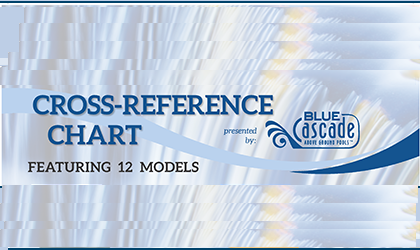 The Barron Aluminum Aboveground Pool from Blue Cascade is among the best aluminum aboveground pools on the market today. 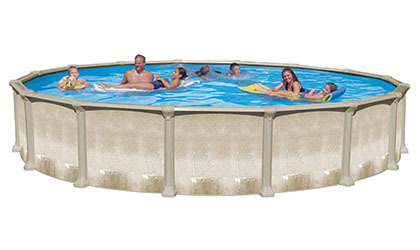 The Angeline aluminum above-ground pool is able to handle inclement weather, is a rust-free alternative to steel pools, and is a long-term value at a reasonable price. Aluminum Above Ground Pools are a rust free alternative to steel above ground pools. 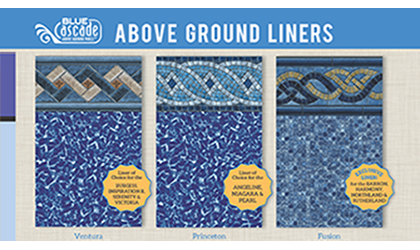 This insures a long, corrosion free above-ground pool life. Aluminum Wall Above-Ground Pools Do Not Rust. Whether you opt for the corrugated Aluminum Wall of the Angeline Above-Ground Pool or the Aluminum Slat Wall Design of the Barron Aluminum Wall Above Ground Pool you will enjoy years of worry free, corrosion free above-ground pool wall. The Barron Aluminum Above-Ground Pools boast 6" Wide Extruded Aluminum Verticals and 8" Extruded Aluminum Ledges. 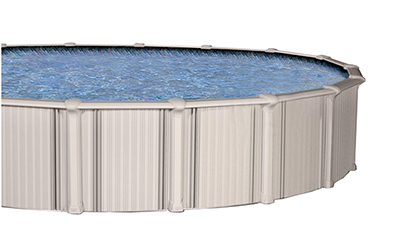 This Extruded Aluminum Above Ground Pool is backed by a 50 Year Limited Warranty including 3 Years Full!